Customized, sensible solutions “Everything from a single source” – Service & extensive expertise. Customers who buy a Kürtőskalács (Baumstriezel or Chimney Cake) oven from us will get the training for free! This also means for you: you can always count on our advice and service and call us at any time for support. 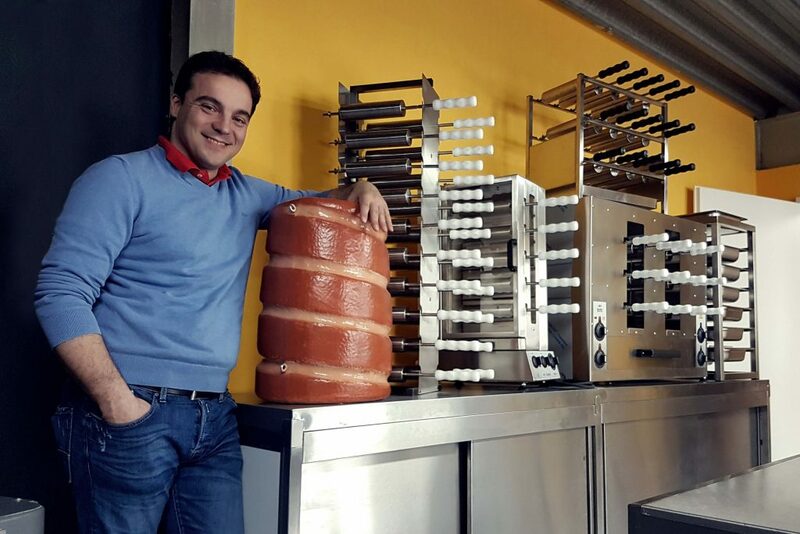 The originally Hungarian company Koplar has been in business for over a decade providing specialized production of Kürtőskalács, Chimney cake ovens and the development and production of these ovens. We combine our traditional Hungarian kürtöskalács with the latest technology. When planning and developing, we not only take our own experience into account, but also 100% of our customers’ needs. We have invested a considerable amount of time, experience and innovative spirit into the development of our Kürtőskalács ovens. We bake and test in our event business, where we produce several thousand pastries. Our goal is to introduce and promote these special treats in Germany and around the world. We would be pleased to advise which oven should you use to get the best results and will be continue to consult you in the future. Not only do you get an oven, but you get introduced to a business model that is sure path to sweet success. You will be completely inducted into the business. Our appliances meet the EU guidelines for large kitchen appliances, all hygiene and safety regulations as well as the CE standard. In addition to the long service life and the higher productivity compared to competitors, our ovens do not have any restrictions on the baking properties due to individual settings. Another bonus when using our ovens: you won’t have to change the baking rolls during baking, so compared to other similar products on the market, you save a lot of time. The Koplar ovens are ideal for events, fairs, catered parties, Christmas markets, fundraising drives. Due to the various adjustment options, our ovens are suitable for all concepts. The KOPLAR Kürtőskalács (Baumstriezel or Chimney Cake) system allows continuous production in continuous operation with a consistently high output. If you are interested in discovering how our product can increase your profit, please call us, we will be glad to answer any questions you may have.